Yet now, 10 years after it launched, Twitter is a mainstream social media site. The list goes on: Pinterest, YouTube, LinkedIn, Instagram, blogging... it may feel overwhelming and confusing. 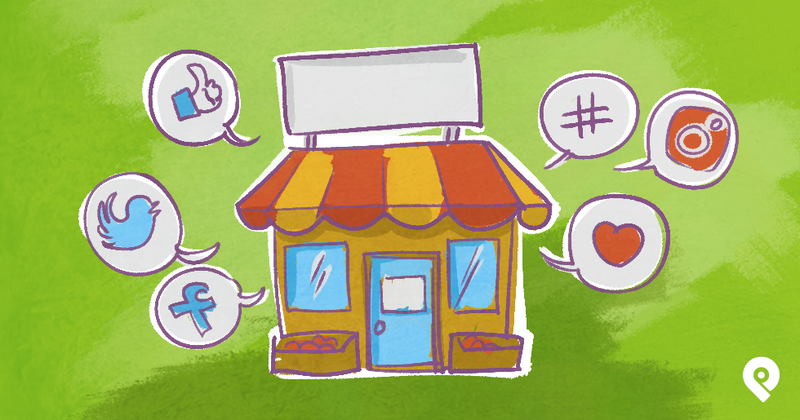 You'll learn a simple way to use social media to build visibility and attract new customers. Social media: websites and applications that enable users to create and share content or to take part in social networking. Marketing: the activity and processes for creating, communicating, delivering, and exchanging offerings that have value for customers, clients, partners, and society at large. 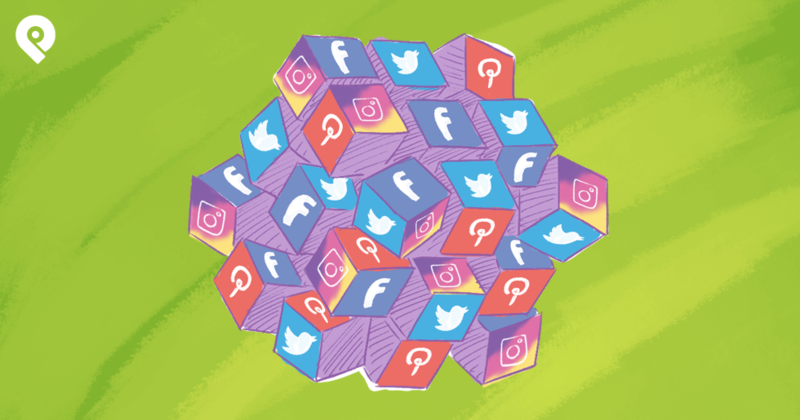 As the social web has evolved over the last decade, businesses have had to adapt and integrate social networks into their marketing strategies. To take advantage of the power of social media marketing, you need to create a strong presence on the Web. This means having key elements in place so you can leverage the right social networks for the audience you want to cultivate. The foundation includes knowledge about your audience, a blog/website, an email management service, landing pages for visitors to opt-in to your email list, and profiles on the top social networks. With a foundation in place, you can begin crafting your social media marketing strategy and tactics. 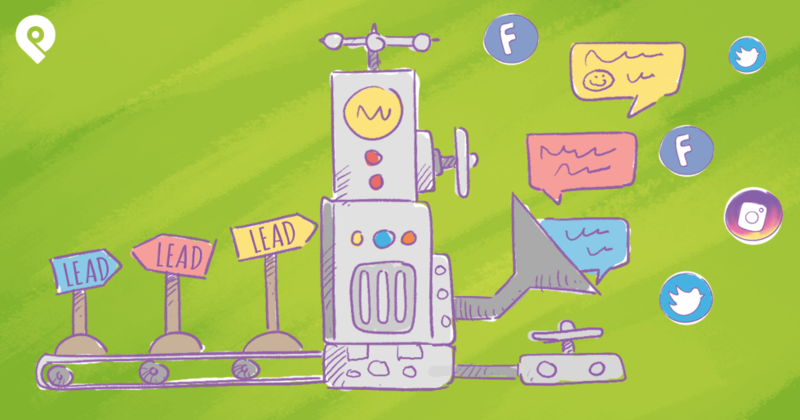 First, identify the social networks you’ll focus on for your marketing. I suggest focusing on two or three primary networks. If you spread yourself too thin, it's hard to maintain a consistent presence or respond fast enough to follower engagement. 3. What does my target audience want from me? What do they want to learn? Now you have a sense of who and what. It’s time to pick where you’ll focus your efforts. Facebook – As of December 2015, Facebook reports there are 1.59 billion active monthly users. That’s a lot of people! It’s likely your target audience is hanging out there for business or personal reasons. You may think your audience doesn’t use Facebook, but I’ll bet they do! Twitter – Boasts 320 million active users as of December 2015. Twitter is a powerful platform for sharing real-time news, content, images, and videos. Your content combined with strong images can help your story stand out in the fast moving stream. LinkedIn – the network for professional and business to business networking. Publishing your articles on Linkedin Pulse will help you stand out on this network of 414 million registered users worldwide. Pinterest and Instagram are must-use networks if your business is mostly visual. Artists, designers, hotels and restaurants, authors, architects, filmmakers, travel and fashion businesses can attract customers by using Pinterest and Instagram. Video – YouTube is the granddaddy of social video networks. In the last couple of years, more video tools have launched that can help your business get seen and increase engagement with your audience. Try using live streaming video to increase connections with your clients and prospects. OK, that’s a lot to think about. - If you are a consultant, you may want to focus on LinkedIn, Facebook or Twitter, depending on the demographics of your clients. - If you own a restaurant, use Facebook and Instagram to entice diners with your mouthwatering meals. - If you’re an accountant, focus on LinkedIn and Facebook. 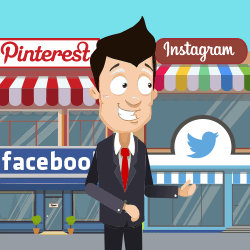 - If you own a clothing store, you could benefit from Pinterest and Facebook. - An auto repair shop would do well using Facebook and Instagram. Before and after photos can make a case for the work you do. Now, what? You know where to focus but how do you actually market your business on social media? 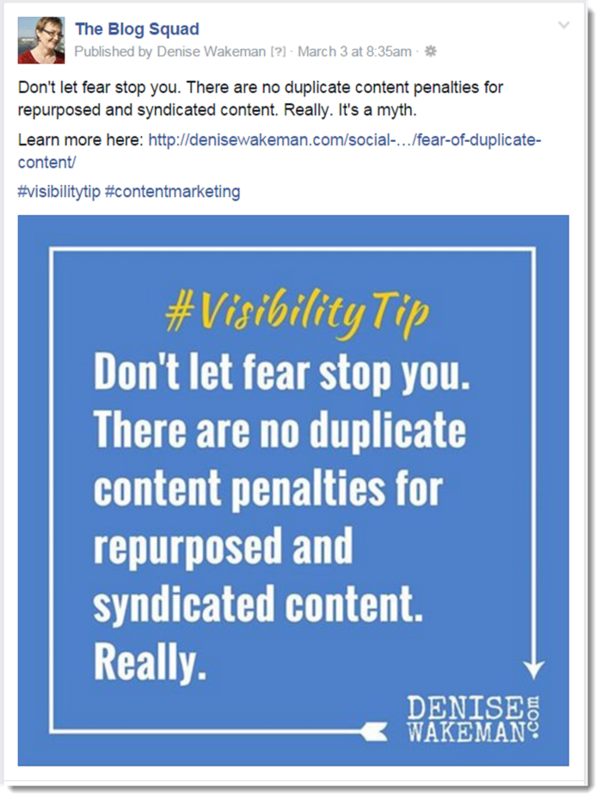 Whether you're promoting a book, product, program, new menu, an art exhibit, a line of jewelry or anything else, you will get a lot of visibility and traction by using social media. Marketing on the web is a long play. Results generally don’t happen overnight. Social marketing is about building relationships over time before you make an offer. It’s all about experimentation. There are hundreds of tactics. But, until you experiment and document the results, it’s impossible to know what will work for your specific business. If it works, great! If not, then it’s time to tweak or try a different path. Embrace the adventure that is online marketing! 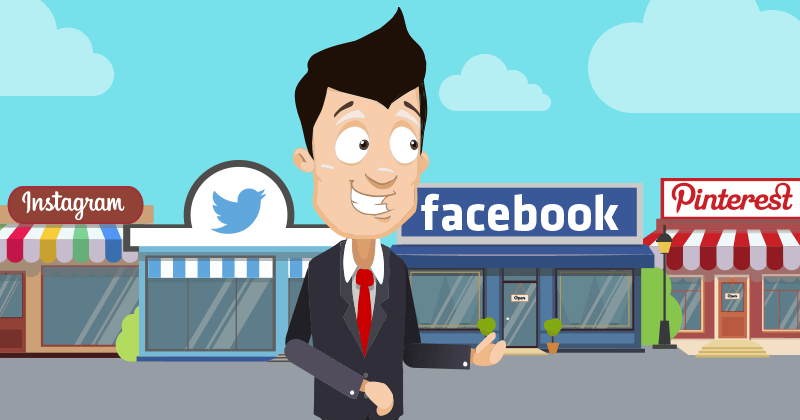 Now, let’s look at several of the top ways to use social media marketing for your business. To be efficient with your resources - time, energy and money – start by creating an editorial calendar. Next, use a social media management tool to pre-schedule some of your social marketing activity. You'll save a lot of time after you craft a series of social posts, by scheduling them to publish at optimal times for your audience. Tools to consider are Hootsuite, Buffer and Post Planner. You can see a list of social media scheduling tools to choose from in How to Schedule Social Media Posts Like a Pro [Infographic]. For example, let’s say your audience is primarily on Facebook and Twitter. The goal is to connect with an audience interested in your topic and show your expertise. You also need to send traffic back to the blog post so your reader gets the full story. Your site is also where you can offer more information by subscribing to your email list. Decide on a theme you’ll focus on for at least a month. Each week write a blog post covering one aspect of the theme. 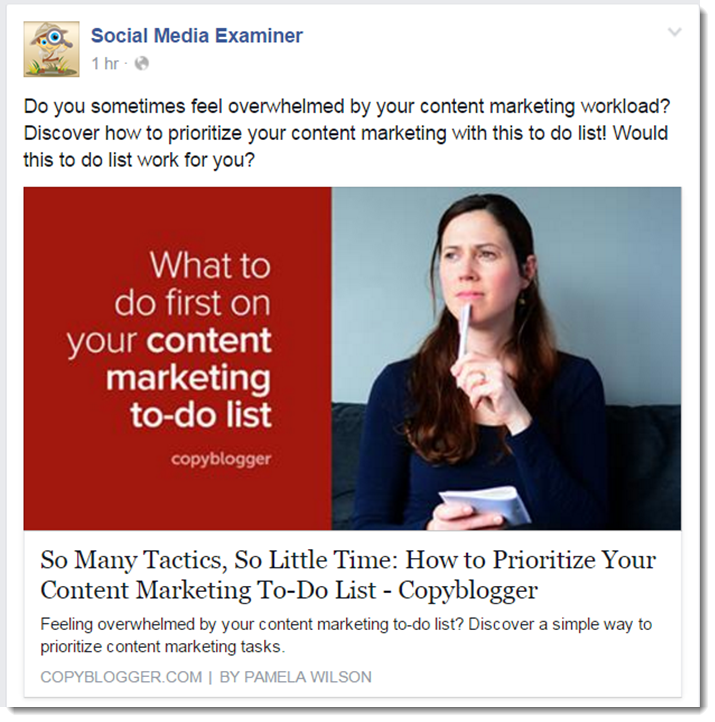 To support each blog post, create images you and your readers can share on social media sites. 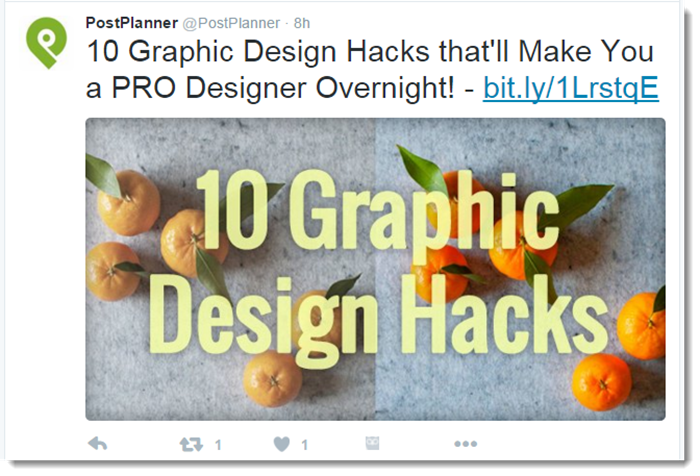 To keep it simple, create one landscape image with the title of your blog post. The image dimensions can be 1920 x 1080 pixels. You’ll be able to use it on Facebook and Twitter as well as the featured image on your blog. 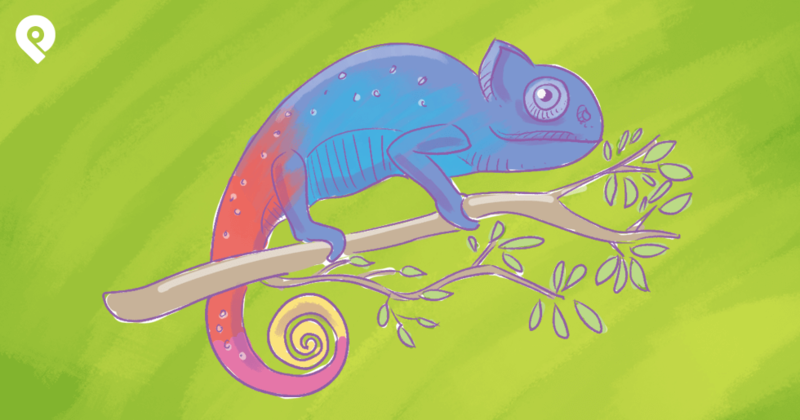 For bonus points, create at least one more image with a quote from your blog post. This gives you another way to share the same post on both Twitter and Facebook. Next, pull 4-5 stats or quotes from the blog post that you can schedule as tweets. If you want your tweets retweeted, make sure they are 120 characters or less. Now you have content ready to share. Once your blog post publishes, the first step is to share the URL on your Facebook page and Twitter. The featured image mentioned above will show up with the link and stand out better in the Facebook and Twitter news feeds. 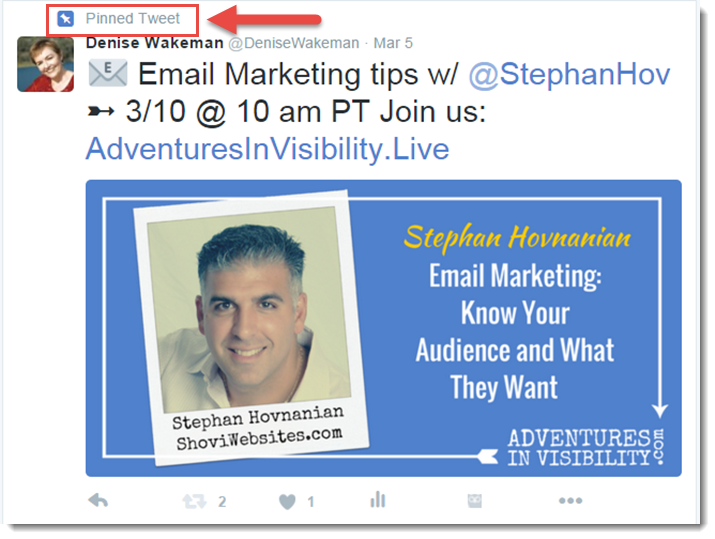 Include a short description and call to action to learn more on your blog post. The next day, share the image with the quote on it. Ask your followers a question about the topic or what they think of the quote. This is the relationship building part of social media marketing. You’re creating awareness about your topic and establishing your expertise. You're showing you care about whether your followers and fans understand what you’re sharing. 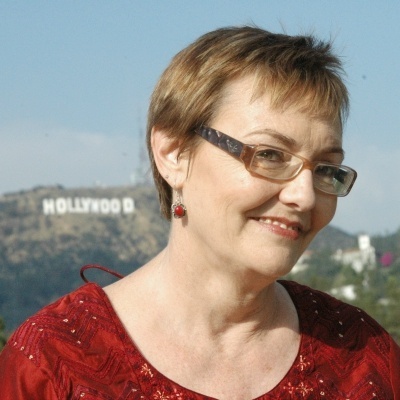 Check back on Twitter and Facebook and respond to any questions and shares of your post or tweet. Thank the people who shared your content. Because the stream on Twitter moves so fast, you can tweet about your post a few times. Use the quotes you pulled, as well as the image quote. Social media power user, Guy Kawasaki repeats tweets four times, eight hours apart. To get more traction on Twitter, pin the image quote tweet to the top of your profile. You’ll usually get more engagement in the way of clicks, retweets, and likes. 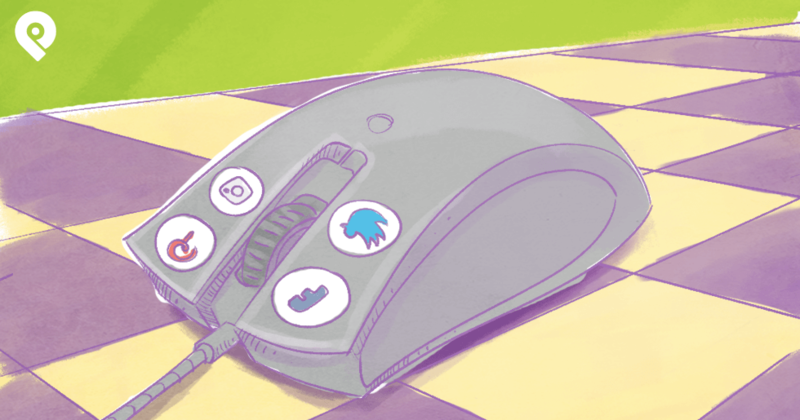 You can use Twitter analytics to track how many clicks you get to your site. 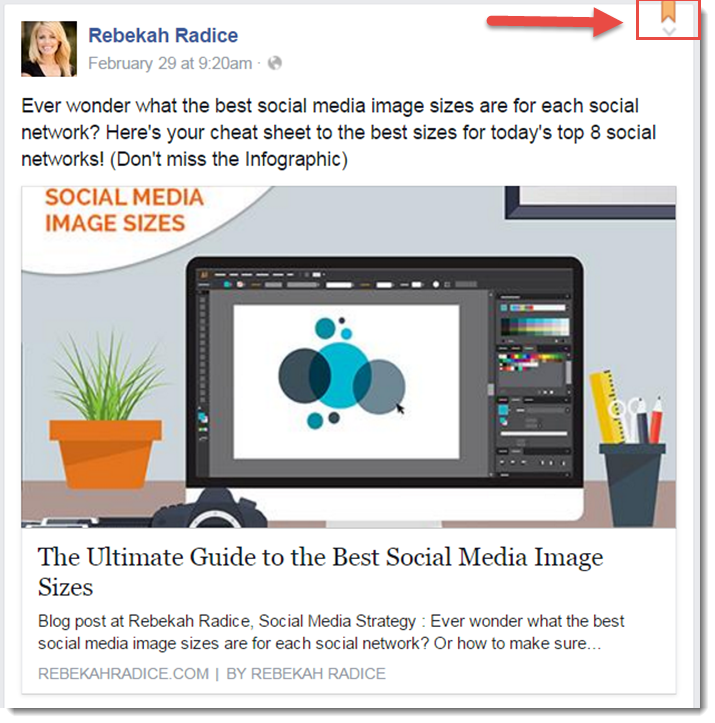 On Facebook, you can also pin your post to the top of your business page. Use the Page Insights to see the type of posts that work best. Track your results on a spreadsheet. How many likes, comments and shares are you getting on your blog post, Facebook posts and tweets? Are your social networks growing with new followers? Remember, this is a long-term play. Repeat the steps each week with a new blog post and document your results. Social media marketing is not only about sharing your own content. Between promoting your blog posts and images, share other people’s content (OPC). Curating top content from industry leaders helps position you as the go-to person in your niche. When you provide relevant content that serves and supports your followers, you stay top of mind as a credible expert in your field. Remember item #2 in the list of principles I asked you to embrace? Develop the habit of using social media marketing to promote your expertise. Then, the time will come when you want to promote an offer: a book, a program or product, a service, an event, etc. 1. Write a series of blog posts, educating your audience about the thing you’re promoting. 3. Post 4-6 times on Twitter and 2-3 times on Facebook. Focus on how your audience benefits from your book or product. 4. Remember, you’ve worked hard to build the relationships so a hard sell isn’t necessary. 5. Your call to action to take the next step should be clear: click here, learn more, get the details. 6. Repeat. Keep The Rule of 7 in mind. The more ways you touch your audience with your message, the better your success with social media marketing. Though my example focuses on Facebook and Twitter, you can apply these steps to any of the social networks: LinkedIn, Pinterest, Instagram, and Google+. The principles are the same: create and share valuable content. Educate, inspire and entertain your audience. The bottom line is this: if you’re new to social media marketing, start simple. Stay focused and consistent with your tactics. Track your results for a month or two to get some data. Then, make adjustments and decide when it’s time to add the next layer of social media for your business. I’d love to hear from you now. How do you currently use social media marketing for your business?